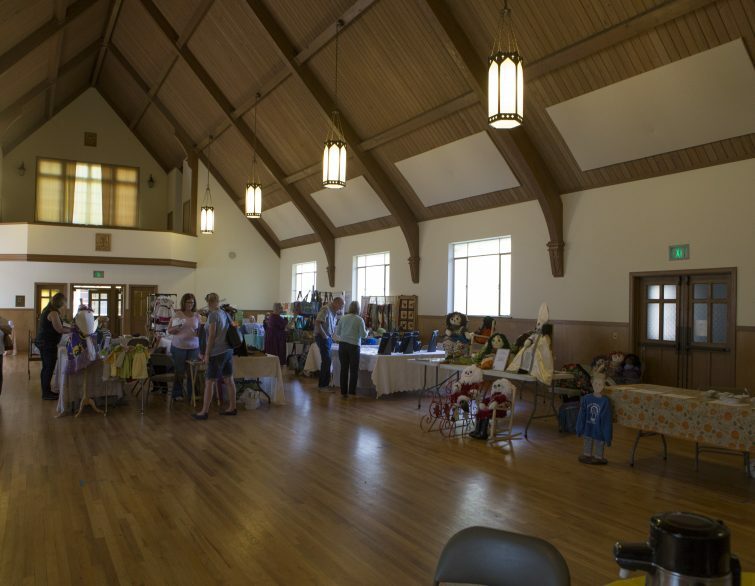 The Great Hall is a 3000 square foot meeting area with a 600 square foot kitchen. It has central heat and air conditioning. It can seat up to 210 people for dinners or meetings and 450 people for standing receptions or events. The use of the facility requires a completed application on file, a deposit to hold the date, a security deposit in the event of damage or problems in the rental, and the fee for the use of the facility which needs to be given to the church two weeks prior to the scheduled event. The hours of rental vary for start times but all music at the function must conclude by 10:00 pm. The facility and grounds must be cleaned of debris and trash resulting from facility usage on the day of the event. There are to be no decorations taped, tacked, nailed or glued to the walls. Alcohol is allowed but limited to the legal drinking age. Please see secretary for further instructions and clarification. No candles or lighted items are allowed.